The tour starts at the Old Post Office on 12th and Pennsylvania Ave. NW. From here, stroll along Pennsylvania Avenue and arrive at the White House. Take a picture in front of the White House (outside the gates) and pass by the Washington Monument, the Vietnam War Memorial and stop to say 'hello' to the Great Emancipator who wrote the Gettysburg Address inside the Lincoln Memorial. Walk by the reflecting pool and stand where Martin Luther King delivered his famous “I have a dream” speech. 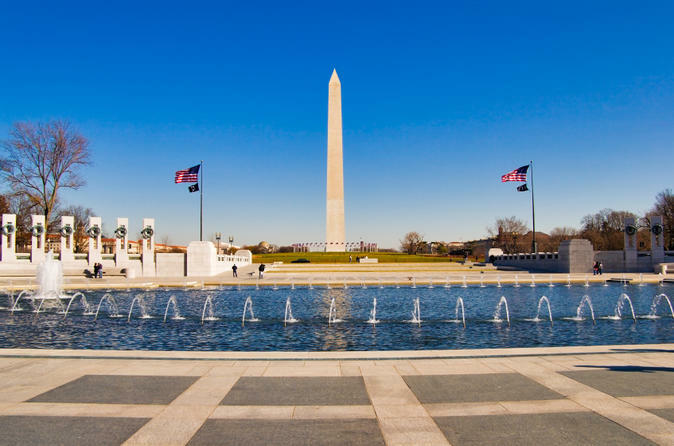 Finally, enjoy the fountains of the World War II Memorial as you experience the Atlantic and Pacific sides of the monument. Your guide will bring you back to the Old Post Office and bid you farewell.